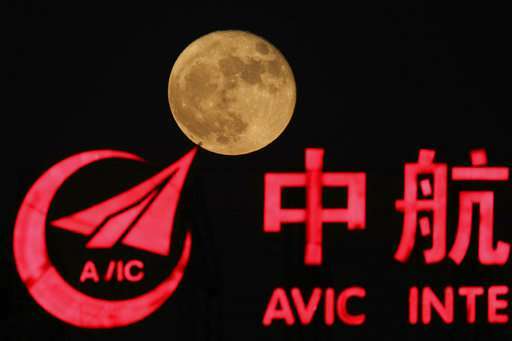 Representatives of China and the European Space Agency are discussing potential collaboration on a human outpost on the moon and other possible joint endeavors, according to a spokesman for the European agency and Chinese media reports. The secretary general for China's space agency, Tian Yulong, first disclosed the talks about the envisioned lunar base in Chinese state media. They were confirmed Wednesday by Pal Hvistendahl, a spokesman for the European Space Agency, or ESA. "The Chinese have a very ambitious moon program already in place," Hvistendahl said. "Space has changed since the space race of the '60s. We recognize that to explore space for peaceful purposes, we do international cooperation." The director general of the 22-member ESA, Johann-Dietrich Woerner, has described its proposed "Moon Village" as a potential international launching pad for future missions to Mars and a chance to develop space tourism or even lunar mining. China arrived relatively late to space travel but has ramped up its program since its first manned spaceflight in 2003, more than 42 years after a Soviet cosmonaut became the first to reach orbit. Last week the China National Space Administration launched an unmanned spacecraft on a mission to dock with its currently unoccupied space station. It plans to launch a mission to collect samples from the moon by the end of this year and next year conduct the first mission to the moon's far side and bring back mineral samples. The ESA hopes to conduct a mission analysis on samples brought back by this year's Chinese mission, known as Chang'e 5, and also have a European flying on the Chinese space station at some future date, Hvistendahl said. Neither prospect has been finalized. China was excluded from the International Space Station mainly due to U.S. legislation barring such cooperation and concerns over the Chinese space program's strong military connections.